"We're 120 meters above ground level, Foster." In the Don't Press the Button Room, if you try to press the button repeatedly, eventually Ed will press it. 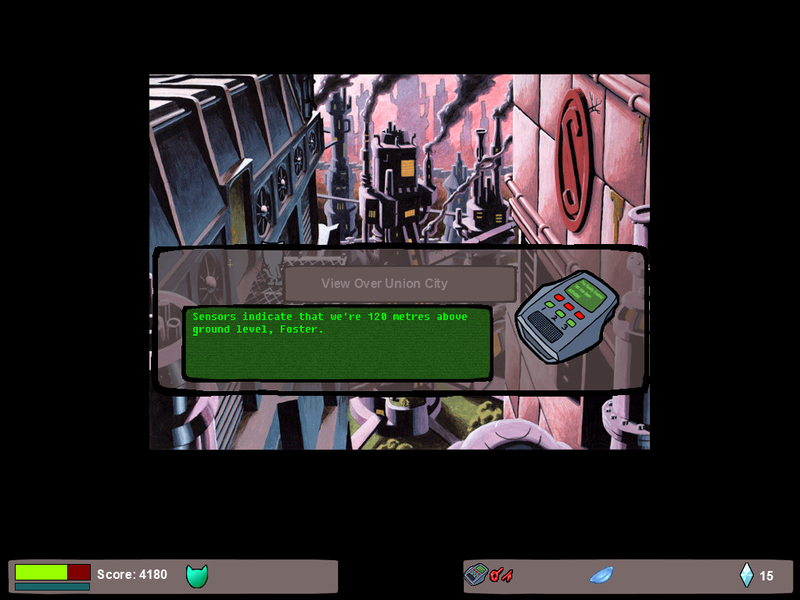 You'll be taken to Union City in Beneath a Steel Sky, and Ed will be called Foster, the name the robot Joey used for the lead character Robert Foster.